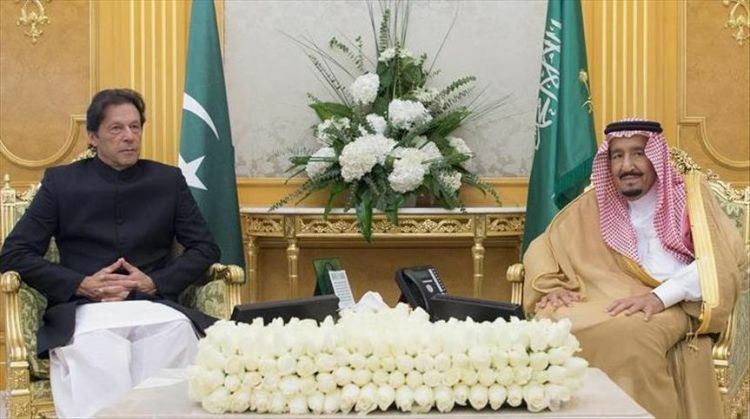 According to the official Saudi Press Agency (SPA), the two men “reviewed the close relations between the two countries and the latest developments in the region”. Khan's current visit to Saudi Arabia is his second since he assumed the Pakistani premiership in August. Last month, King Salman met with Khan in Jeddah -- during the latter’s first official trip abroad -- to discuss bilateral ties and prospects for enhanced cooperation. Khan is now visiting Riyadh to take part in a high-profile investment conference currently underway in the Saudi capital. A columnist for the Washington Post, Jamal Khashoggi was last seen on Oct. 2 when he entered the Saudi consulate in Istanbul. After days of denying any knowledge of his whereabouts, Saudi officials last week admitted that Khashoggi had died inside the consulate. Since then, King Salman has sacked the deputy head of the Saudi intelligence agency (along with a top aide), while also ordering the arrest of 18 suspects in the case. On Sunday, Saudi Foreign Minister Adel al-Jubeir admitted that Khashoggi had been killed inside the consulate, but insisted that Mohamed bin Salman -- Saudi Arabia’s high-profile crown prince -- had not been aware of it. Al-Jubeir has also posited the notion that Khashoggi’s presumed murder was a “rogue operation” carried out by Saudi intelligence operatives.